In her recent work, Samina Mansuri uses as a starting point media depictions of war-torn places such as Pakistan, Afghanistan and Iraq as well as the twin towers or places like New Orleans that have been ravaged by natural disasters. 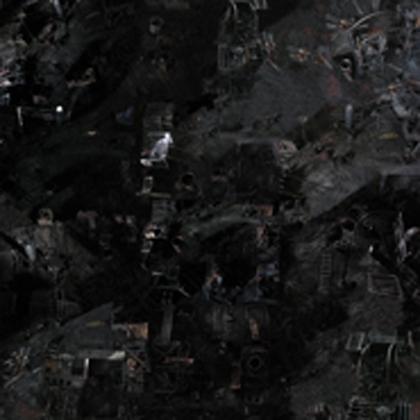 Frequently the architecture of these locations, captured from an aerial view, is reduced to ash or rubble. These views tend to provide a detached sense of actual place. Through a transformed language of aerial cartography Mansuri creates subjective mappings of an ambiguous location of trauma. Through this she aims to bring attention to viewers about mediated representations of misery and its impact on individual and public memory. 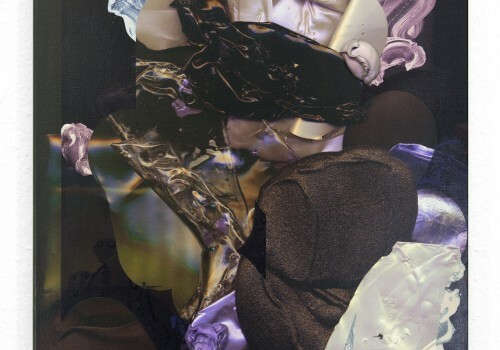 Samina Mansuri (born Karachi) is a multidisciplinary artist based in Toronto, Canada. She received her BFA from Pratt Institute, New York and MFA from Carnegie Mellon University, Pittsburgh. Mansuri has exhibited her work internationally for over two decades. 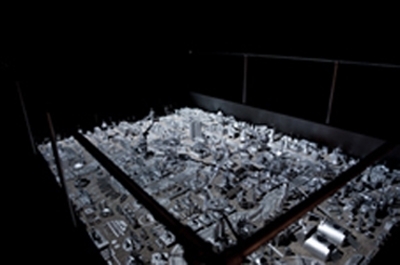 Recent exhibitions include Qualia or the pulse of Steel, Hamilton, Canada 2012; Out of Rubble, Space Gallery, Pittsburgh, 2011; Leaning Towards Collapse, A Space Gallery, Toronto, Canada, 2011; Empire of Dreams Phenomenology of the Built Environment, Museum of Contemporary Canadian Art, Toronto, Canada; Double Consciousness, Mattress Factory Museum, USA, 2007 and Post-Object, Doris McCarthy Gallery, Scarborough, Canada, 2007. Her works are represented in public and private collections and have been extensively featured and reviewed in catalogs, books, newspapers and journals. 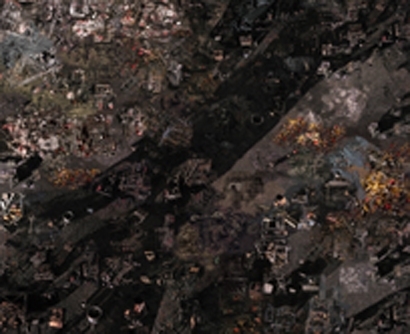 Samina Mansuri, Ash 9 Tararatiie, 2008, Giclee print, 44 × 5213/16 in. (111.76 × 134.11 cm). Courtesy of the artist. 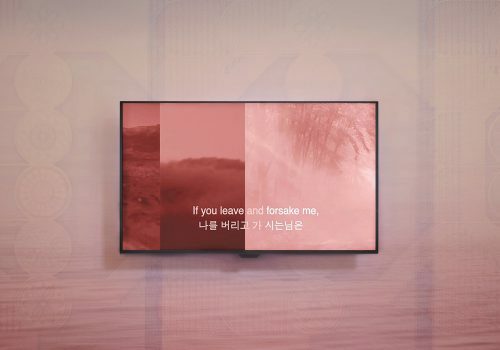 Samina Mansuri, After Images: Cedibidaee Reconstruction Site 9, 2010, Multimedia installation with video projection, 228 × 180 × 24 in. (579.12 × 457.2 × 60.96 cm). Courtesy of the artist. Samina Mansuri, Ash 5 Olaraaee, 2008, Giclee print, 34 × 34 in. (86.36 × 86.36 cm). Courtesy of the artist. Samina Mansuri, Mukiirati, 2008, Giclee print, 34 × 34 in. (86.36 × 86.36 cm). Courtesy of the artist. 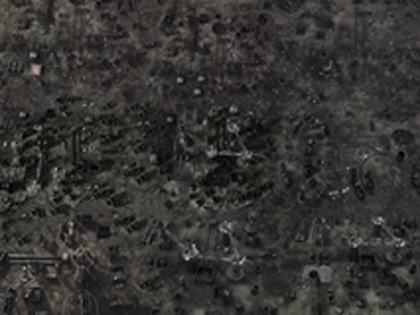 Samina Mansuri, After Images: Cedibidaee Reconstruction Site 10, 2009 - 2011, Multimedia installation with video projection, 240 × 228 × 24 in. (609.6 × 579.12 × 60.96 cm). Courtesy of the artist. Akiko Diegel’s works deal with existence: things that are consumed, worn, worked, worried, carried, things used as comforts and things used as crutches. Diegel’s practice utilizes and examines the act of collecting, recording, constructing and stitching. She works to balance the works between the corporeal and the behavioral sides of being a person. 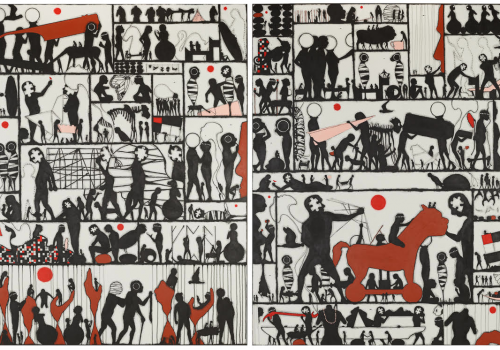 Diegel’s final artworks often relate to the body and human behaviors. Her practice moves fluidly between the seductively kaleidoscopic and the poised, quiet and contained. Akiko Diegel (born Japan) lives and works in Auckland, New Zealand. She graduated with an MFA in 2008 from the Elam School of Fine Arts at the University of Auckland. In 2011, Akiko Diegel was awarded the Paramount Award for her work, Cure, at the 20th Annual Wallace Art Awards. 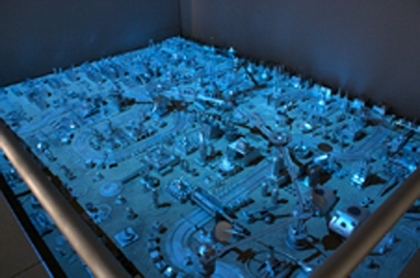 Her work has been included in the Wallace Art Award finalist exhibition every year between 2006 and 2010. 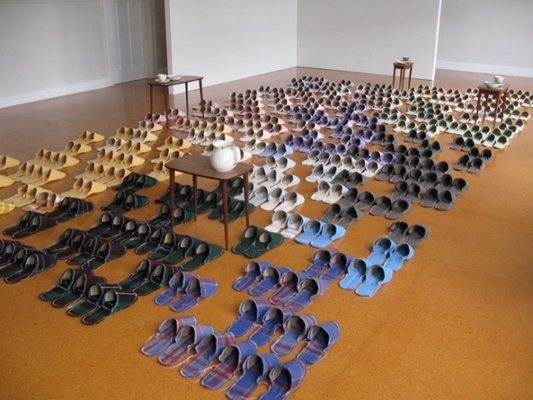 Diegel was a finalist in the Waiheke Art Awards (2011), the Waikato Museum National Contemporary Art Award (2007-2010) and the Norsewear Art Award (2007). 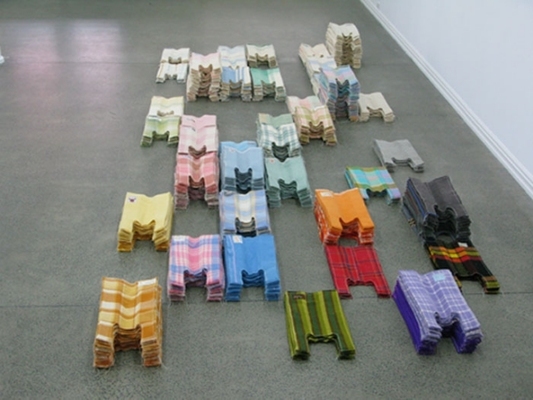 Akiko Diegel, Untitled, 2009, Wool blanket. 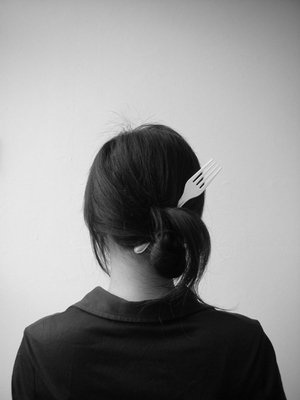 Akiko Diegel, Up Where We Belong, 2008, C-type print, 151/2 × 151/2 in. (39.37 × 39.37 cm). Akiko Diegel, Untitled, 2008, Wool blanket, 7 × 10 in. (17.78 × 25.4 cm). 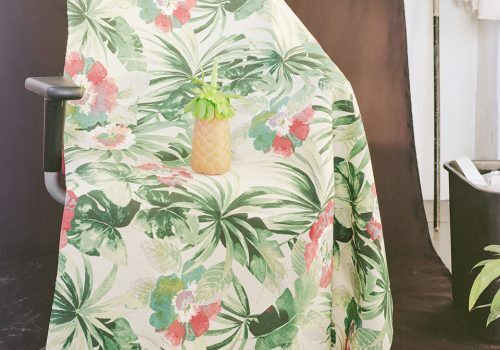 Amy Joy Watson examines the human propensity for imagining different and better worlds from a highly personal and idiosyncratic point of view. There is the presence of a childlike alter ego in the work, suggesting a subtle sense of nostalgia for the joys of childhood play and a way of seeing mystery and possibility in everything. Eccentric objects and environments such as mutant clams with gobstoppers for pearls and machines that fly helium balloon, come from the artist’s imagination. The imagined worlds of childhood are transcribed through the adult patience and refinement of her painstaking production methods. Watson often employs delicate hand-stitching of segments of finely cut balsa wood to create geometric forms. The recent inclusion of unexpected outré materials – helium balloons, glow-in-the-dark pigments and glitter – have caused these works to wobble, spin, glisten and levitate. Amy Joy Watson (born 1987 in Adelaide, Australia) completed a Bachelor of Visual Art with honors in 2008 graduating from Adelaide Central School of Art. 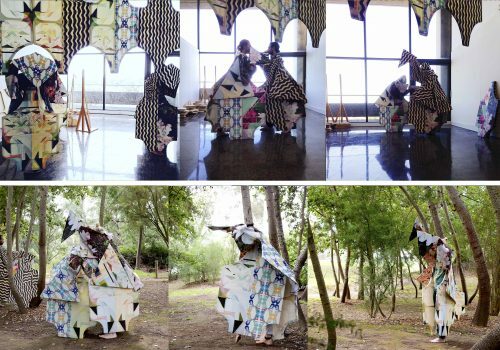 Watson has shown in various solo and group exhibitions throughout Australia including a solo exhibition at GRANTPIRRIE Gallery in Sydney and at the Contemporary Art Center of South Australia’s Project Space. 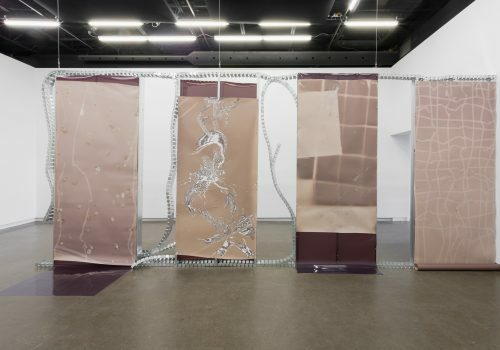 She undertook a two-month studio residency at Takt Kunstprojektraum, Berlin in 2009. Watson has been successful in winning several CARCLEW, Helpmann and Arts SA grants and was awarded the 2011 CARCLEW Ruth Tuck Travelling Scholarship. She has received various awards locally and internationally, including the 3rd Ward Brooklyn Open Call Early Entry Prize in 2011. 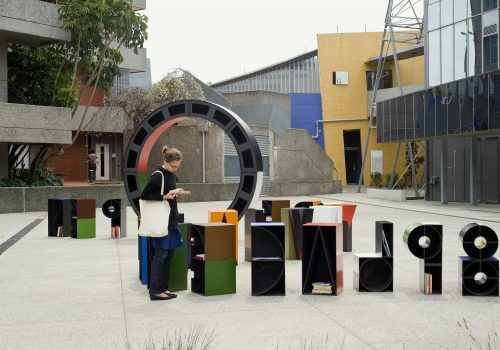 Howard was awarded the 2011 Adelaide Critics Circle Contemporary Art Award and won the 2009 Core Energy Group Sculpture Award and the 2009 SAlife Emerging Artist Award. 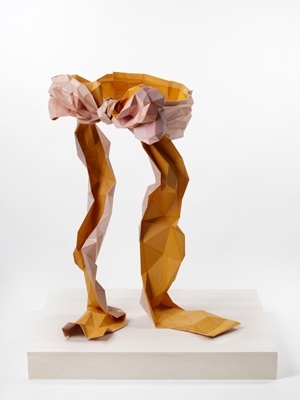 Amy Joy Watson, Solo, 2011, Balsa wood, watercolor, and polyester thread, 37 × 24 × 24 in. (93.98 × 60.96 × 60.96 cm). 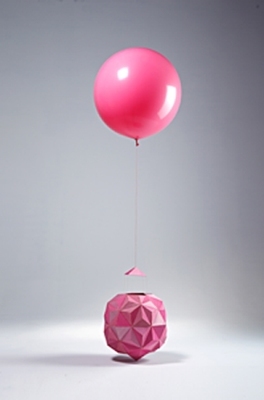 Amy Joy Watson, Untitled, 2011, Balsa wood, polyester thread, and balloons, Dimensions variable. 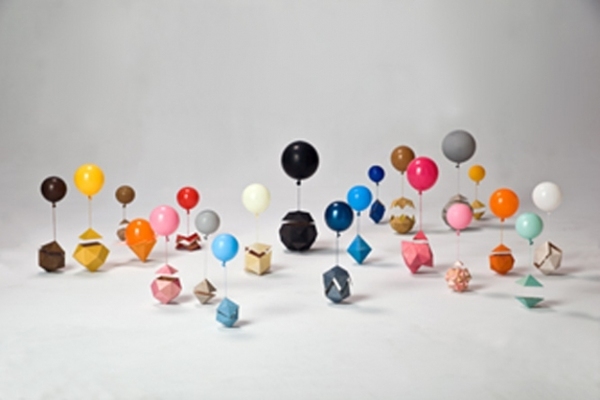 Amy Joy Watson, Untitled, 2011, Balsa wood, water color, polyester thread, and helium balloons, 138 × 32 × 32 in. (350.52 × 81.28 × 81.28 cm).